The Mods asked us if we had any games we’d like to share with you for the Birthday Party. Most of the games we play when we all get together aren’t really human-friendly. However, we do enjoy playing Name the Quote. It’s just a fun game that we play using the books we’ve read and movies we’ve seen. To make it Lex-friendly, I thought we might try Name the Character From the Quote. It’s played just like your Name the Movie from the Quote game here. To start us off, I’ll just pull a quote from one of the Twilight books and you tell me who said it. Then you do the same for the next person. I think I'll start simple. Shh. Hold on a second. I think I'm having an epiphany here. I’m really glad Edward didn’t kill you. Everything’s so much more fun with you around. That's Emmett, of course, in Eclipse. 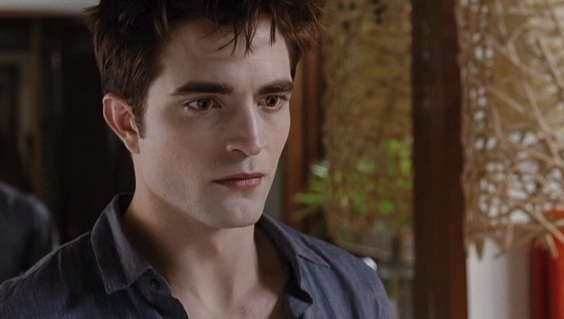 Edward's only human, Bella. He's going to react like any other boy. I may not be a human, but I’m a man. "And how can we fail, when I will it otherwise?" "It appears I have to win the right to be free." Benjamin from Breaking Dawn! That was a good one. I had to check to see if I was right.